React Native along with Redux is becoming increasingly popular and turned out to be a valuable skill for your resume if you are looking for a job in mobile app development space as well. If you have been here before then you might know about my 3 point formula to learn a new technology or framework. This 3 point forum has helped me to learn many technologies in the past e.g. Git, Spring, Hibernate and now I am using this technique to learn Kotlin, Docker, and Android to upgrade my technical skills in 2019. Once I understood fundamentals I read a book to get more comprehensive coverage of all the concepts covered in the online course and something which has not been covered at all. After completing the book and online course, I develop a real-world application to test my knowledge and fill gaps in my learning. This is where I learn most and I look back to the online course I joined and the book I had read whenever I need to learn more. This is one of the best course to learn React native and Redux. It will get you up and run with React Native quickly, and teach you the core knowledge you need to understand and build React components for mobile devices. 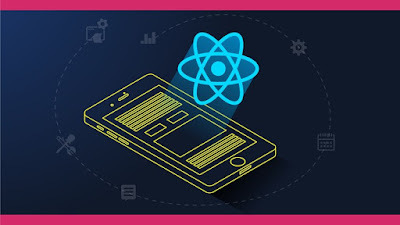 The course starts with explaining the fundamentals of React, including JSX, props, state, and event handling, so even if you are not familiar with React framework, you can start with React Native. It will also help you to quickly build Prototype and deploy your own applications to the Apple and Google Play Stores. In short, one of the most complete course to learn React Native and Redux in quick time. This is another React Native course from the same author, Stephen Grider, who will you how to master the advanced topics of React Native e.g. Animations, Maps, Notifications, Navigation etc. You will also learn how to authenticate your users using Facebook OAuth, engage your users with automated Push Notifications, enhance authentication flows in your app with One Time Passwords with Twilio, and increase your app's reliability with Offline Data Persistence. This is another great course on React Native from Udemy. I really like how he explained React Native to web developers i.e. 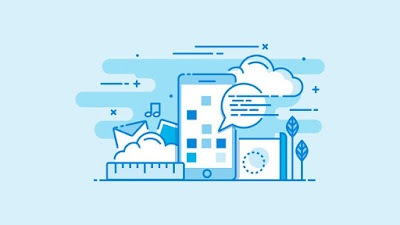 how it allows you to build awesome, native mobile apps using the same web technology we use to build awesome and responsive web applications. 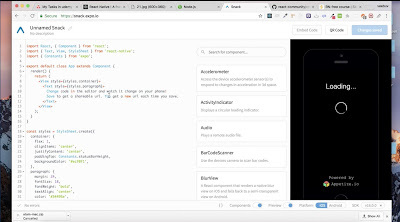 In this course, you will learn how to create your own React Native apps, publish them to the Google Play Store and Apple App Store and dive really deep into the React Native ecosystem. You'll also learn all about the theory behind React Native, its core concepts, how to build responsive designs that work on different device sizes, how to animate React Native apps, how to navigate around, use maps and the camera and so much more! 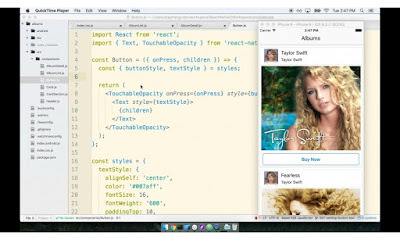 In short, an interesting, practical and hands-on course to learn React Native on your own. It’s not the end-all-be-all - it’s designed to get you started fast while building a firm foundation. Sometimes, when I am really impatient to dive into a technology I just start building something with that and learn along the way. This course follows that model, it claims to teach React Native and it's principles by building a tinder like jokes app in quick time. You will also learn about how 'props' and 'state' work, more importantly, understand what they exactly are, what they do, and why do you need them. In short, one of the great course to begin your journey into the beautiful world of mobile and app development. In short, React Native is the fastest way to build native mobile apps for Android and iOS and trusted by big companies like Facebook, Instagram, Uber, Airbnb etc. If you want to learn something new in 2019 then React Native is a good choice. Thanks for reading this article so far. If you find these free React Native courses useful then please share with your friends and colleagues. If you have any questions or feedback then please drop a note. P. S. - If you are looking for some free courses to start your React journey, you can also take a look at this list of Free React Courses for Web Developers.